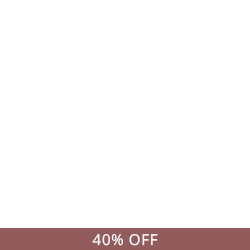 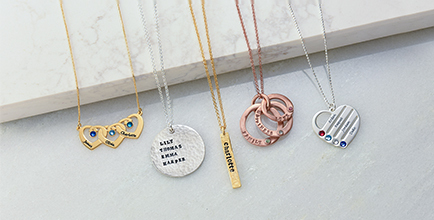 Show mom some love! 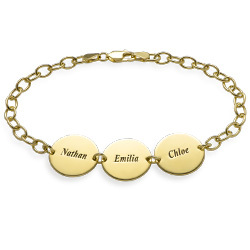 Our Hand Stamped Heart Necklace with Names in Gold Plating is sure to become one of her favorite pieces, particularly since it goes with many of the styles she enjoys wearing most. 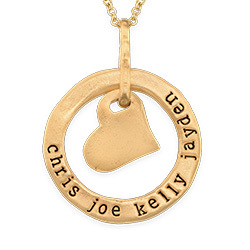 Besides its gorgeous golden glow, it offers a wonderful, customized message straight from your heart to hers, rendered in hand stamp lettering for a unique look. 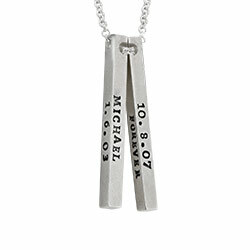 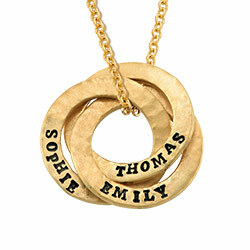 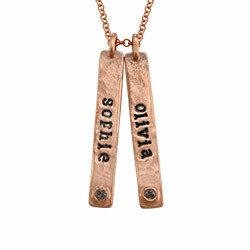 This lovely hand stamped necklace is made with sterling silver and 18k gold plate for a luxurious look. 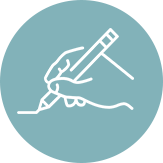 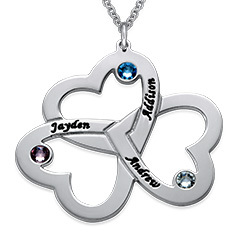 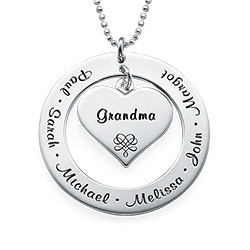 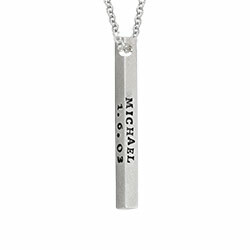 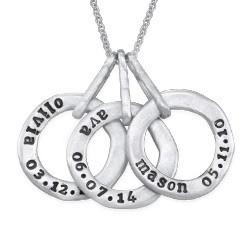 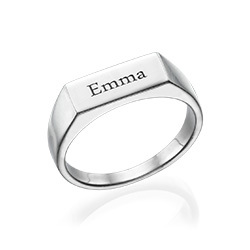 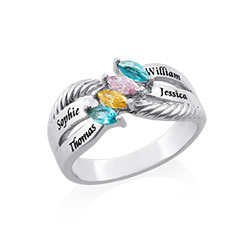 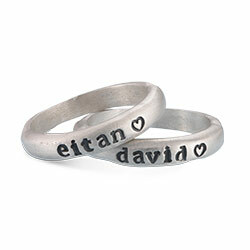 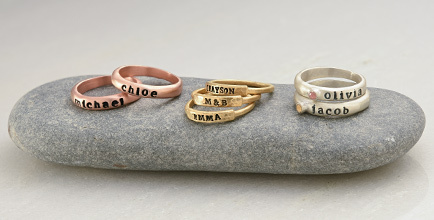 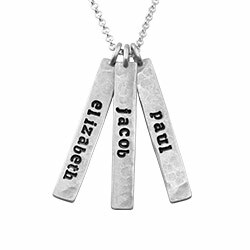 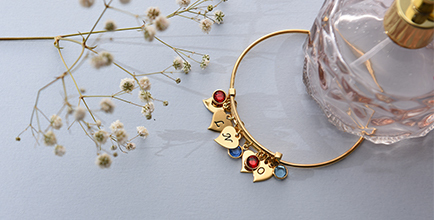 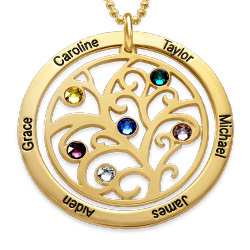 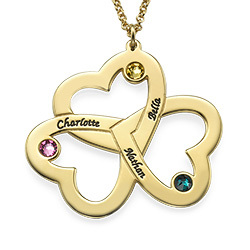 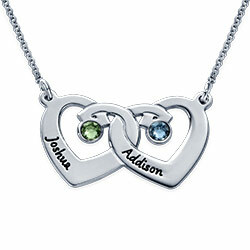 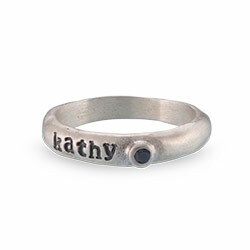 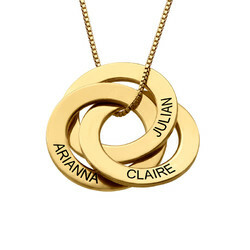 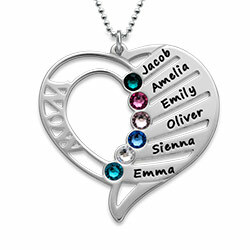 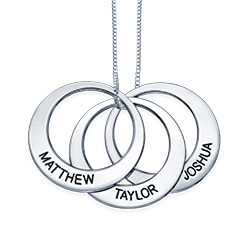 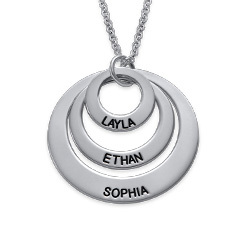 It includes your choice of one to three hearts, each inscribed with a single name or word, all strung on a rolo chain in your choice of lengths. 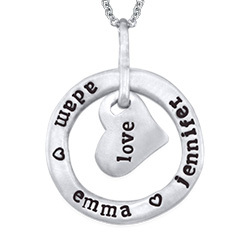 See our Heart Pendant Necklace Collection for even more options, including this beautiful style in your choice of sterling silver or 18k rose gold plate. 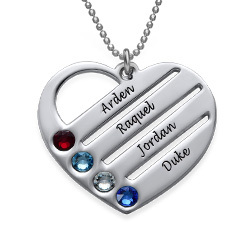 My wife love her necklace!